Matt LeBlanc doesn’t give a fudge about reuniting the cast of Friends for a comeback of any kind. It sounds malicious, but he was nice about it and typically sensible with his words but yeah – Joey’s over it mate. 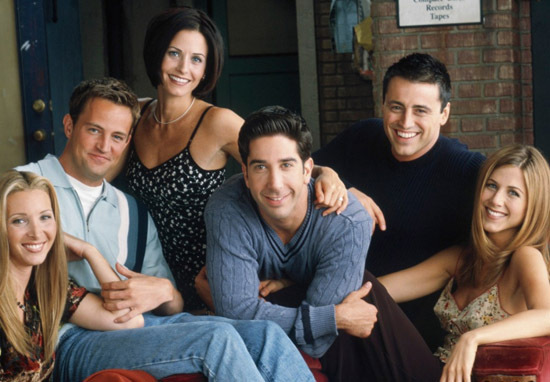 In an interview with Brisbane’s 97.3FM Bianca, Terry & Bob, the 50-year-old actor explained exactly why he doesn’t and more importantly, why fans won’t want to see a Friends reunion. I don’t think anybody wants to see Joey at his colonoscopy. I understand people really want to see that reunion, but that show was about a finite period in these six characters’ lives, between 20 and 30. I think everyone’s imagination of what they (the characters) are doing is better. It’s not any one person. I think it’s better to just leave it. Matt – can I call you Matt? – I agree 100 per cent. 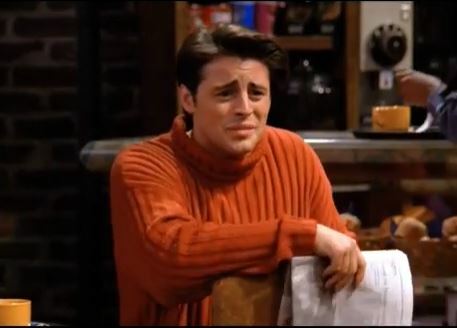 Seeing Joey failing to keep together a relationship in middle age would be so peak, as would seeing Chandler on an iPhone. Ross being bossy not just with Rachel but a teenage-Emma, Phoebe talking about veganism… the list goes on. To hell with it all. Keep it in the 90s baby. I’m not bragging, but co-star Jennifer Aniston echoed my sentiments in an interview with ITV’s Lorraine last year. I don’t know what we would do? I think that period of time was sort of nostalgic, you know, there’s something about a time – and I think why people have such an affection for it – there was something about a time when our faces weren’t shoved into cell phones and we weren’t checking Facebook and Instagram. We were in a room together, or in a coffee shop together and we were talking. And we’ve lost that. I suppose another part of Matt just can’t be bothered bringing it back, judging by the recent Gen Z moan-fest about the show’s resurgence on Netflix. I’ve heard those rumours about people taking pot shots at Friends, but I don’t want to get into that. I disagree with all that. Friends steered clear of that kind of thing, too. 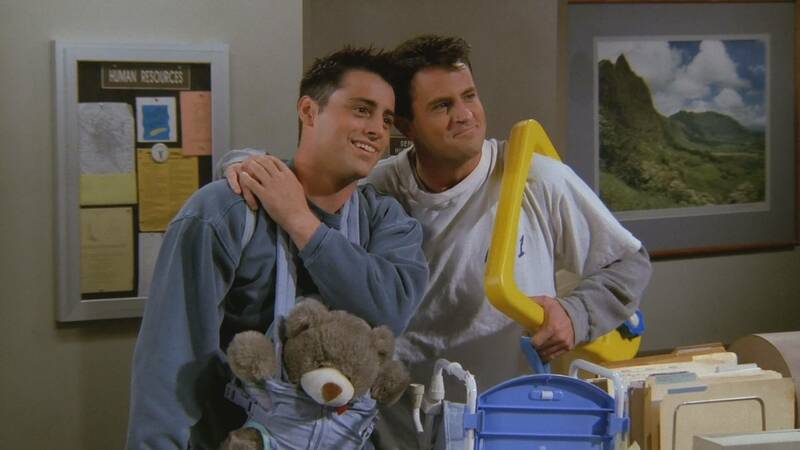 Friends was about themes that stand the test of time – trust, love, relationships, betrayal, family and things like that. Because that joke isn’t going to be relevant in six months. You talk about ‘Hey man, you lied to me,’ or ‘Wasn’t that fun? – that’ll always be relevant. Keep doing you, mate. I’ll be there for you. We’ll be there for you.